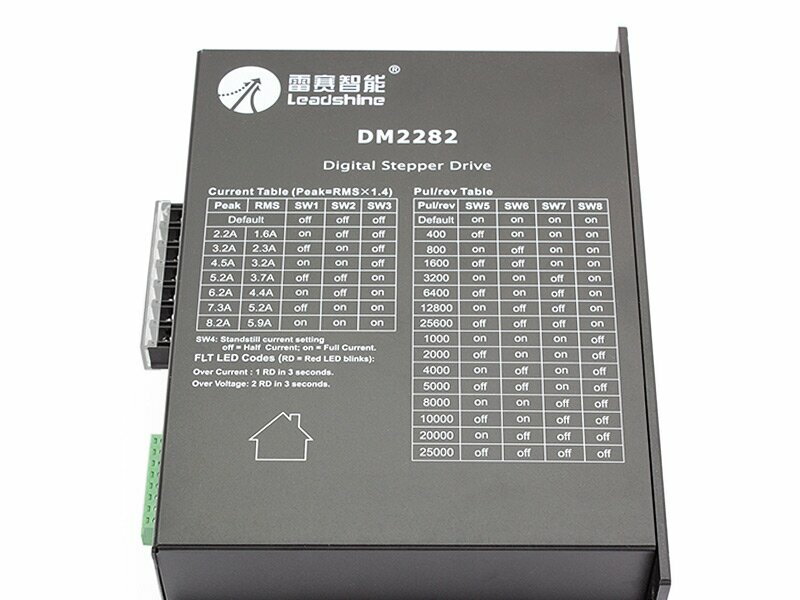 The DM2282 is a high voltage, fully digital stepper drive developed with advanced DSP control algorithm based on the latest motion control technology. 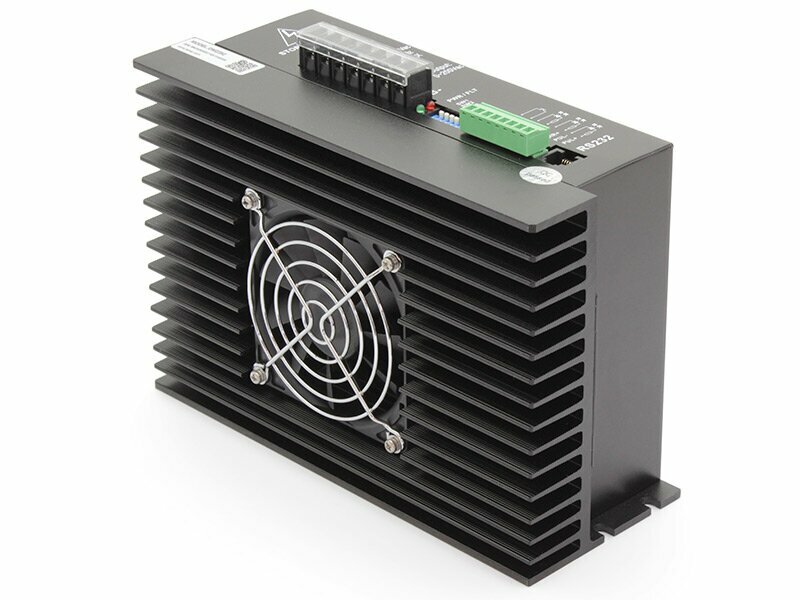 It has achieved a unique level of system smoothness, providing optimal torque and nulls mid-range instability. Its motor auto-identification and parameter auto-configuration feature offers quick setup to optimal modes with different motors. Compared with traditional analog drives, DM2282 can drive a stepper motor at much lower noise, lower heating, and smoother movement. Its unique features make DM2282 an ideal choice for high requirement applications. 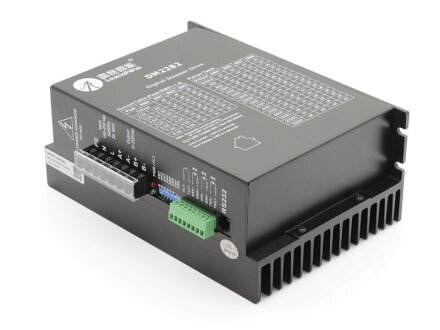 - Output current programmable, from 0.5A to 8.2A. 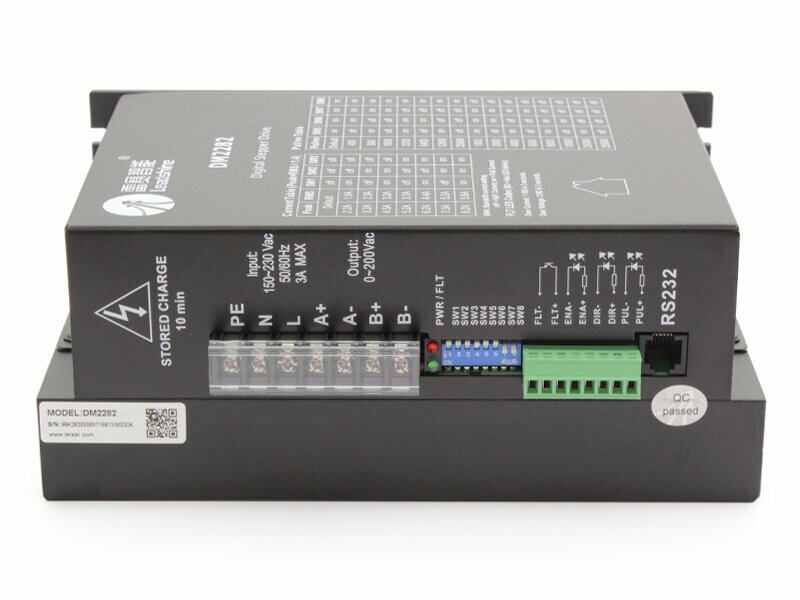 It can also be set via DIP switches.